It transfers your contacts, calendar events, photos and videos. 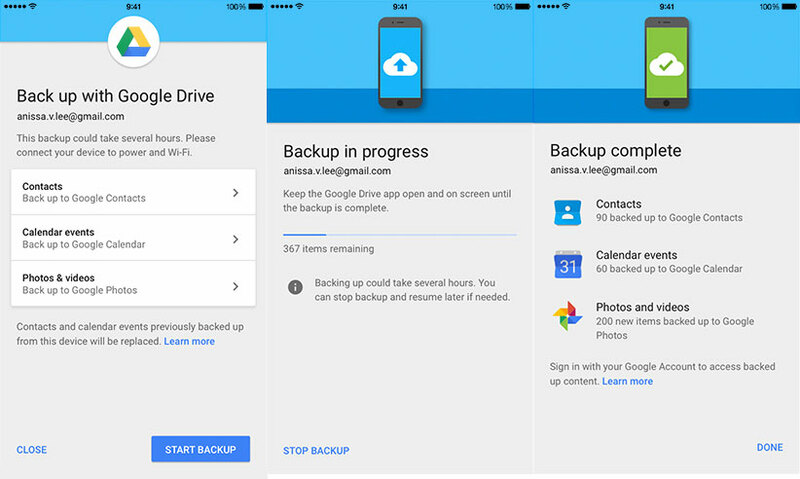 If you're switching from iOS to Android, Google Drive might be able to help you out: its latest feature gives it the powers to back up your calendar events, contacts, photos and videos. It probably doesn't sound that useful if you regularly use GCal for your schedule or Google Photos to store your images. But if you don't, then Drive ensures you don't have to manually transfer your data -- all you have to do is start the backup process within the settings page. Since the whole thing could take few a hours, and you'll have to keep Drive active and on screen the whole time, Google advises you to plug your phone in and connect to WiFi. Now, you might not ever put this to use if you got a Pixel and the Quick Switch Adapter that comes with it, but it sure sounds useful for other Android devices. Just don't forget to switch off iMessage before you leave.